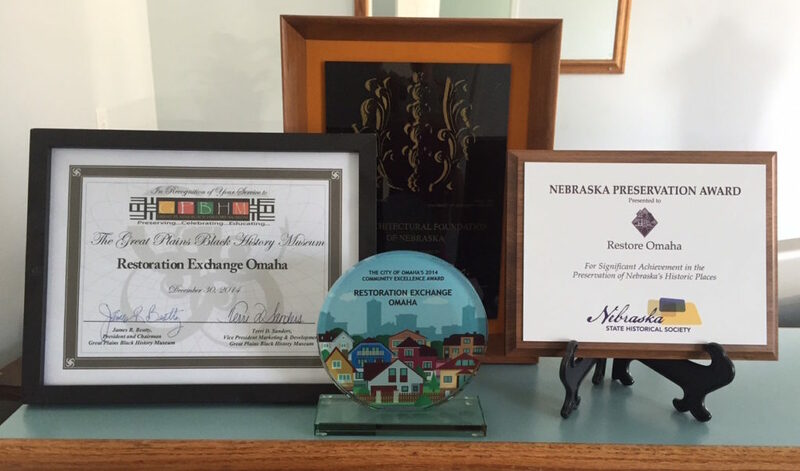 Restoration Exchange Omaha has been recognized for its efforts to educate and motivate the Omaha metro to restore and preserve older homes, buildings and neighborhoods. Presented by the Nebraska chapter of the Public Relations Society of America in recognition of REO’s work to preserve Omaha’s older buildings. Recognizing REO’s work in making significant contributions to the quality of life and overall health of Omaha’s older neighborhoods. Awarded to Restore Omaha to recognize significant achievements in historic preservation in Nebraska.